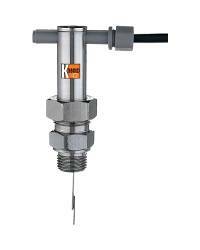 The EDM turbine flowmeter measures the flow of water and other compatible, low viscosity liquids with flow rates ranging from 0.3 GPM to 300 GPM. Its replaceable 3V lithium batteries power an onboard rate meter/totalizer with the results displayed on a highly visible, 6-digit LCD readout. The versatile, modular design offers a variety of options. Available electronics include a remote display, pulse frequency output and an 4-20 mA analog output. 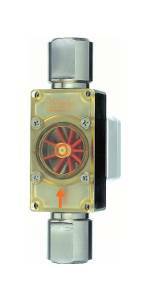 Polyamide, Aluminum, PVDF, or Stainless Steel body construction make the EDM compatible with a wide variety of medias. 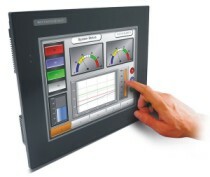 The computer electronics feature the ability to individually display three useful functions: instantaneous flow rate, user resettable flow total and a non resettable flow total. 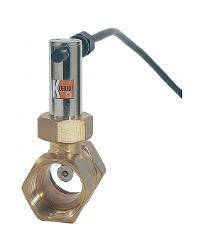 Standard measuring units are field changeable between gallons and liters. 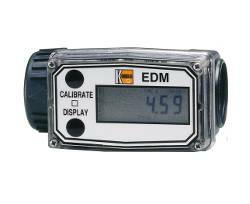 The electronic display computer also has the ability to store an alternate field calibration allowing the user to easily switch between the preset 1 cP default value and one alternate calibration using the same flowmeter. > TOTALIZERS > WEATHERPROOF NEMA-4 : 3 Items found.